The NC High Country's 1st Ski Area- since 1962. 10 slopes including 2 Terrain Parks. 2 Quad Chairlifts, 1 Double Chairlift, 1 Conveyor Lift, 1 Handle Pull Lift. Night skiing, outdoor ice skating. Open Friday before Thanksgiving through late March, 7 days a week. Ski & snowboard equipment, apparel, & helmet rentals available. Home of the French Swiss Ski College, the Southeast's largest independent Ski School. Large Bavarian-style base lodge is smoke-free w/ wireless internet, Restaurant, Ski & Gift Shop, Nursery, Lockers, Video Game Room, Meeting Rooms, & 200 foot observation deck. Off season wedding receptions. Slopeside lodging and ski-and-stay packages available. Special rates for groups and early and late season. The Place to Learn to Ski. 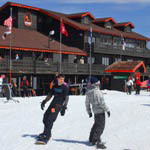 An Award Winning Ski & Snowboard School, The French-Swiss Ski College is at Appalachian Ski Mtn. in Blowing Rock, North Carolina. 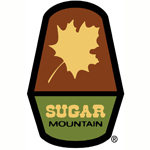 The oldest and best known ski school in the Southeast. Over one million taught! Visit one of the longest ziplines in the US. With over 4 miles, 20 cables, 4 cables over 1500 feet, and heights of over 200 feet off the ground traveling over trees, creeks and a lake all surrounded by the spectacular views of the Blue Ridge mountains. Boasting one of the largest snowtubing parks with over 30 lanes of snowtubing spread over 4 different areas. 100% snowmaking and lighting with 2 carpet lifts to bring you back to the top. Buy tickets online. Welcome to the newest adventure experience in the High Country. 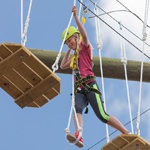 Get harnessed up and climb your way through 75 different aerial challenges ranging from 15-50 feet off the ground. Whether you are a seasoned adventurer or in need of an introduction to the vertical world, High Gravity Adventures is where you belong. We offer active outdoor adventure for individuals, couples, families and groups of all kinds. Individual tickets range from $19 to $49 and Season Passes are available for ages 4 and up. High Gravity Adventures is open March through November. See our website for hours and more information on the vertical world! Setting the bar high since 2012, Sky Valley Zip Tours is rated the #1 Outdoor Activity in Blowing Rock on TripAdvisor (Feb. 2019). Experience a canopy tour and zip line adventure like no other! An exhilarating half-mile ATV ride leads you to 10 zip lines, including the famous "Big Mama," and over a mile of cable, elevations up to 300 feet, a cliff jump, and 120-foot long swinging bridge. GOT KIDS? Our Whistle Pig Adventure Park is designed for ages 4 and up! Cheer them on as they master the 7 zips, bridge, and 20-foot slide out of the trees. For a truly unique night out, zip under the stars with Night Flight at Sky Valley, starting at dark on select weekends. This 1.5 hour tour incorporates the first half of our course and ends with the cliff jump. Skiing, snowboarding, tubing, snowshoeing day and night! Plus 100% snowmaking on 115 skiable acres; twenty slopes from beginner to expert; eight lifts; ski and snowboard school for all ages and abilities; ski and snowboard rental shop; 2 cafeterias; the Last Run Lounge; Sugar Mountain Sports Shop, including the newest, coolest, most practical gear; accommodating group sales department; winter value packages and special events for just about anyone. All you'd expect from North Carolina's largest winter resort!